Professsors Saundra Westervelt and Kimberly Cook of the University of North Carolina recently published a study entitled “Coping with Innocence After Death Row.” The study appeared in "Contexts" published by the American Sociological Association. 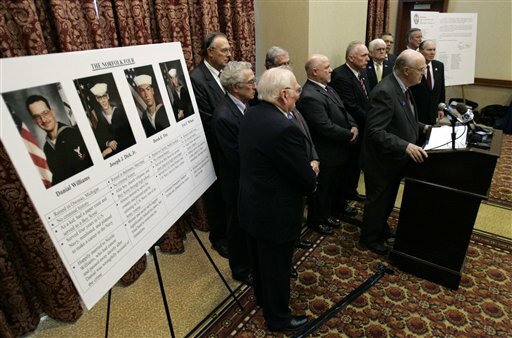 The authors studied the lives of 18 innocent men and women exonerated from death row. The unique research uncovers the difficulty the exonerees have had in adapting to life outside of prison without the process of “delabeling,” or recognition of their innocence by society. “Frequently, community members still see them as guilty criminals who ‘beat the system,’” noted the authors. One exoneree often found “child killer” written in the dirt on his truck, and neighbors told another exoneree’s children that their mother was “a babykiller.” The study explores the coping strategies and continued struggles of those who had been exonerated. A new study concerning criminal justice procedures in Texas has been released by the Justice Project. Their research found that only 12% of Texas law enforcement agencies have any written policies or guidelines for the conduct of photo or live lineup procedures. Furthermore, they discovered that the few existing written procedures are often vague and incomplete. Eighty-two percent of Texas’ 38 wrongful convictions exposed by DNA testing, which includes non-capital cases, were based largely or exclusively on incorrect eyewitness identifications. Overall, the study found that most jurisdictions in Texas fail to implement widely endorsed best practices that have been proven to increase reliability of eyewitness testimony. Only 7% or less of all Texas departments have written policies in line with such endorsed best practices designed to minimize eyewitness error. The Justice Project is a non-profit and non-partisan organization that works to improve the fairness and accuracy of the criminal justice system. The full research report may be found here. Attorneys for Georgia death row inmate Troy Davis will have the opportunity to argue before a three-judge panel of the U.S. Court of Appeals for the 11th Circuit on December 9 in Atlanta. The Court will hear arguments on whether Davis can file a second federal challenge to his conviction based on new evidence of his innocence. 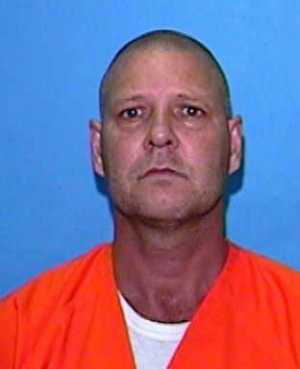 The Court stayed Davis' execution shortly before he was to receive a lethal injection so that it could review the constitutional issues in his case. Davis’ case has garnered both international and national attention. Former President Jimmy Carter and the European Union were among those calling for a stay of execution. Davis was scheduled to be executed on October 27 after the U.S. Supreme Court denied review following Davis' unsuccessful appeal to the Georgia Supreme Court. Davis' original conviction was based primarily on eyewitness testimony. Since the 1991 trial, 7 of the 9 non-police eyewitnesses have recanted their testimony, with some pointing to another suspect. (Associated Press, “Federal appeals court to hear Troy Davis case Dec. 9,” November 19, 2008). See also Innocence. “We are not bleeding hearts, and we don’t take this type of public action lightly,” said Cochran. “However, we also believe that law enforcement has an obligation to protect the most innocent from wrongful conviction.” The agents joined a long list of notable people calling for a pardon, including 4 former Virginia attorneys general, 12 former state and federal judges and prosecutors, and a past president of the Virginia Bar Association. A recent editorial in The Journal Star (Lincoln, Nebraska) expressed the paper's shock at how the death penalty distorted a state criminal investigation to the extent that six innocent people were convicted of a murder they did not commit. Defendants were pressured to offer erroneous testimony through the threat of facing the death penalty. 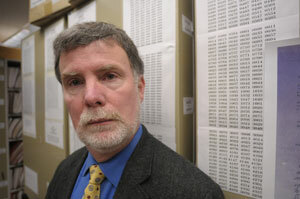 “The wrongful convictions show how the death penalty can distort the search for justice,” the editorial stated. “Investigators supplied suspects suggestions on what could have happened. They showed photos of the crime scene. Under pressure, suspects offered the stories authorities wanted.” The pressure that was used against the suspects was the threat of the electric chair. DNA testing later cleared the six men. The actual killer, whose guilt was confirmed by DNA tests, had already died in 1992. Unfortunately, that defendant had been cleared by a blood test conducted by forensic scientist who was later exposed as providing false and misleading evidence. Due to the prevalence of human error in the system, the editorial concluded, "The death penalty should be abolished." "The exoneration of six people who had been convicted for the murder of a Beatrice woman is a shocking example of the justice system going awry. The wrongful convictions show how the death penalty can distort the search for justice. The case boggles the mind. How could the complicated and detailed scenario presented in court testimony turn out to be complete fiction? One reason is the police interrogation methods used at the time. Investigators supplied suspects suggestions on what could have happened. They showed photos of the crime scene. Under pressure, suspects offered the stories authorities wanted. And how was that pressure exerted? By threatening the death penalty. Four defendants were bullied into confessions when authorities threatened them with the electric chair, according to Attorney General Jon Bruning. Their testimony was used to convict Joseph Edgar White of first-degree murder. The other five pleaded guilty or no contest to lesser charges. Advances in DNA analysis now show the prosecution’s case was entirely fabricated. In the first step, the DNA evidence showed no link between the defendants and the crime. In the second, conclusive step, the DNA evidence proved who had actually committed the crime in 1985. That turned out to be Bruce Allen Smith, who died of AIDS in 1992 in Oklahoma City. He had been a suspect early in the case, but authorities turned their attention elsewhere after he was apparently cleared by a blood test done by Oklahoma forensic specialist Joyce Gilchrist. The circumstances of the Beatrice case ought to shake the faith of the most hardened defender of the death penalty. The death penalty was never imposed in the case, but it played a role in sending six people to prison. An error here, overzealousness there, and before anyone can stop it, the defendants are behind bars, out of sight and out of mind. For decades, no one questioned the convictions. Then the case unraveled quickly and unequivocally, exposing the imperfection and error that will forever impair any criminal justice system operated by humans. The next time Nebraska lawmakers once again consider whether to retain the death penalty, they should study this case. The evidence is fresh and convincing. The death penalty should be abolished." (The Journal Star, "Death Penalty Distorted Beatrice Case," November 13, 2008). See Innocence and Editorial. On November 3, the US Supreme Court agreed to hear a non-capital case from Alaska in which the defendant asserts that the constitution requires the state to allow DNA testing on evidence from his trial so that he can prove his innocence. In District Attorney's Office v Osborne (No 08-6), the Court will initially consider whether William Osborne may bring a civil rights claim (under 42 USC 1983) demonstrating that the state has violated his constitutional right to due process by refusing to turn over the evidence for testing. Osborne was convicted in 1994 of a sexual assault and the testing on evidence from the crime scene tended to point to his guilt. Today, however, more sophisticated testing is available that might exonerate Osborne. question that his petition must be heard despite finality considerations. (Osborne v. District Attorney's Office, No. 06-35875 (9th Cir. April 2, 2008) (internal citations omitted). (See SCOTUS.blog, Nov. 3, 2008). See also Supreme Court and Innocence. Detective Trainum recently wrote about this danger and adocated a possible reform in an op-ed in the Los Angeles Times, arguing for the videotaping of police interrogations. Trainum said he never understood why someone would admit to a crime he or she didn’t commit until he secured such a false confession in the murder case.